SERVPRO of Bath / Brunswick has trained professionals ready to respond anytime for your restoration emergency. Our technicians can respond 24 hours a day, 7 days a week- day or night and even on holidays. We are a phone call away! Our teams are dedicated to responding "faster to any size disaster". We provide the training and continue ongoing training to handle your cleaning or restoration needs. We are locally owned and operated in Topsham, ME. We specialize in any type of water, fire, storm, or mold damages in your home or business. Give us a call today in your time of need and someone will be there immediately to assess your property. 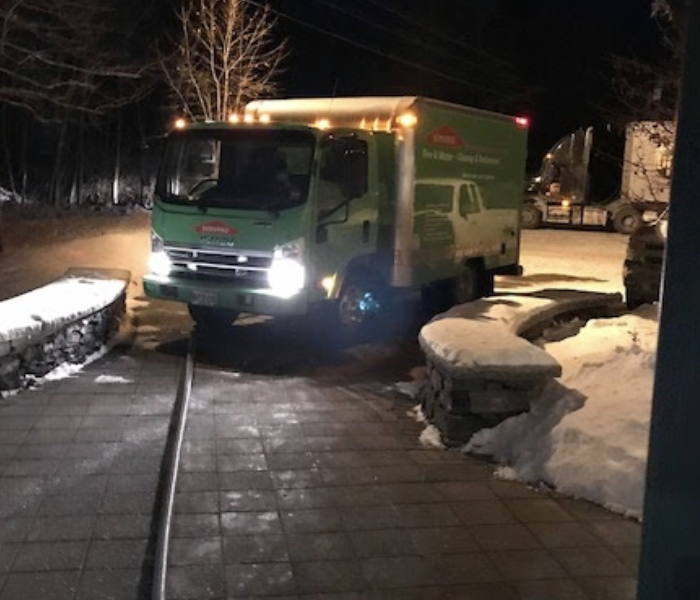 SERVPRO of Bath / Brunswick is locally owned and operated, so we’re already close by and ready to respond immediately when you need us. We’re also part of a national network of over 1,700 Franchises, which gives us access to more resources for larger cleaning or restoration projects or major storm scenarios.